If you’re not in the mood or money for a full-bore kitchen or bathroom remodel, tackling the floors and ceilings can add some wow. Starting at the top, you’d be surprised how crown moulding can really date a home. It seems odd that something thought to be generally unchanging has its own fashionable-to-unfashionable cycle. Given the mitered corners and piecing together of long spans, this may be a job to turn over to pros. The full collars and cuffs treatment can be had by tackling the baseboards at the same time. 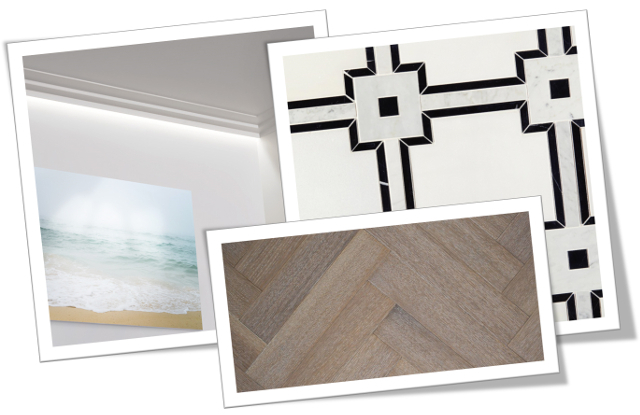 Starting at the ceiling, one company who specializes in mouldings, medallions, and domes is Orac Décor. They also offer columns, corbels, pediments and pilasters, but I’m too much of a modernist for those. Often people think that modern equates to a lack of adornment and that’s true. But it’s not Louis XIV or plain bare walls. There are subtleties. It’s the time of year when we look back on our accomplishments and discoveries for 2016. This Thursday Three Hundred, published March 17, was a favorite of both readers and the author! Enjoy this flashback. 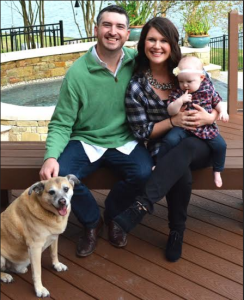 Our Thursday Three Hundred is the home of entrepreneur Rachel O’Connor and her young family. O’Connor is the founder and owner of Party Made Pretty, and she creates all kinds of paper decorations, garlands, and banners. Party Made Pretty booming—she’s now filling more than 400 orders a month and her home-based business is busting at the seams. So she, her husband, 18-month-old daughter, and adorable, chubby dog need to move somewhere with a larger dedicated studio space. Which brings us to their awesome house at 2421 Springhill Dr. near Ferguson Road and Lakeland Drive in East Dallas’ Casa Linda Forest. It would be hard to leave this place, a 3-2 with 2,220 square feet—large for the neighborhood, up on a hill with mature trees and a cute cottage feel. O’Connor has worked magic with the interior—this is a 1959 home that has vintage charm, but feels modern and livable. The open floorplan makes the front rooms flow into one enormous, welcoming space. 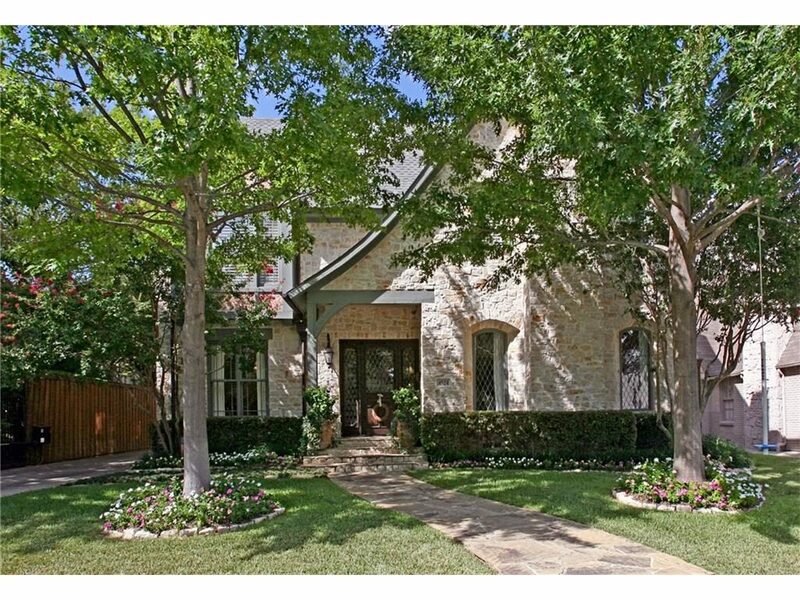 It was listed March 7 by Kevin Caskey with Dallas City Center Realtors $348,500. Show of hands: How many of our CandysDirt.com readers enjoyed the beautiful weather at the annual Polo on the Lawn match this past Saturday? It was a wonderful event held at Prestonwood Polo Club in Oak Point, benefiting Children’s Miracle Network. 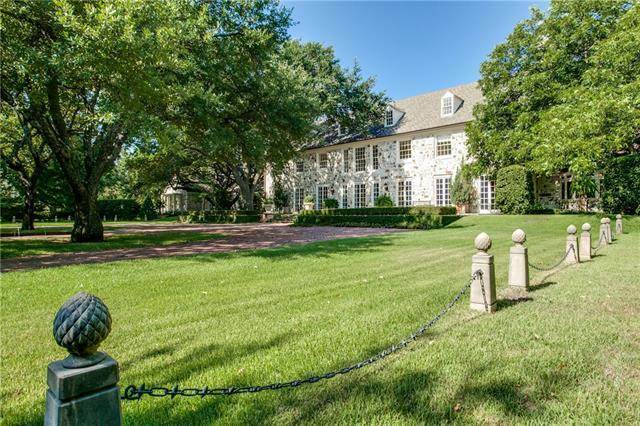 But did you know that 23 Ash Bluff Lane was once the site of the Dallas Polo Club in the 1920s? Yes, it’s true! 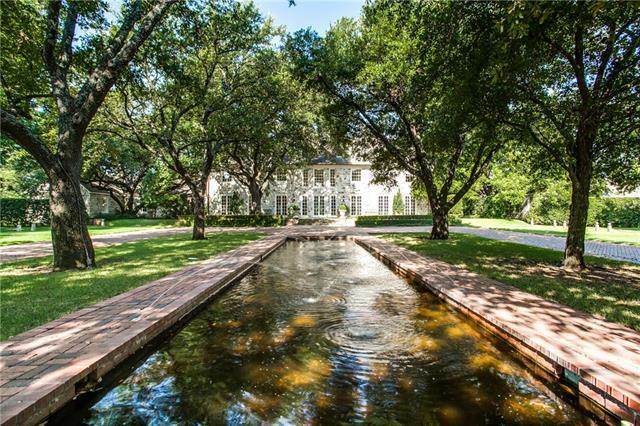 This gorgeous Anton Korn-designed estate built in 1935 is the very same place where polo ponies and riders raced while the elegant ladies and gentleman of Dallas society looked on. It was originally built for oilman Clint Murchison, but was later renovated in a way that holds on to the home’s history while allowing it to easily accommodate today’s buyer. Jump to see the rest of this gorgeous home located inside the exclusive Glen Abbey neighborhood. This lovely Highland Park English Tudor at 4524 Edmondson ticks all the boxes. Timeless style, smart updates, great flow, and most of all, a modern house that successfully capitalizes on the charming look of an older home. From the curb you could easily mistake this as a 1920s build instead of 2001 construction. This is only one of two spec homes built by Karl Hirschey, who was known for his hands-on approach. It’s a pity he’s retired from the building business, but some lucky buyer can move right into this beauty and know they won’t have to do a thing but entertain. They’ll also have bragging rights. Our Thursday Three Hundred is cute from top to bottom, a stylish package for just over $300K. 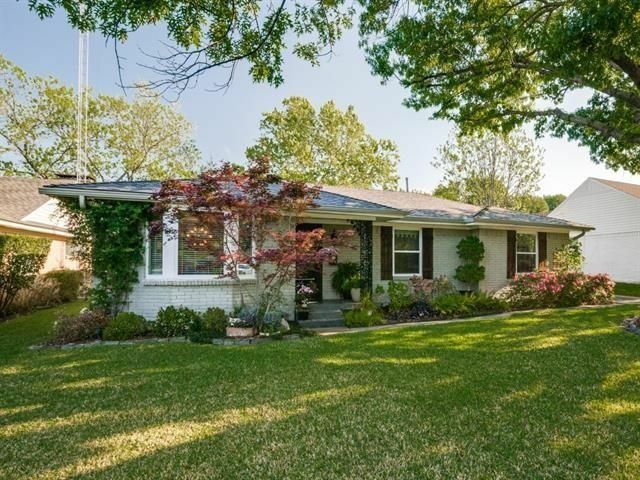 Located at 3615 Waldorf Dr., near Royal and Marsh lanes, this is a 3-2 with 1,825 square feet, built in 1956. It has been beautifully maintained, and tastefully renovated to feel modern. 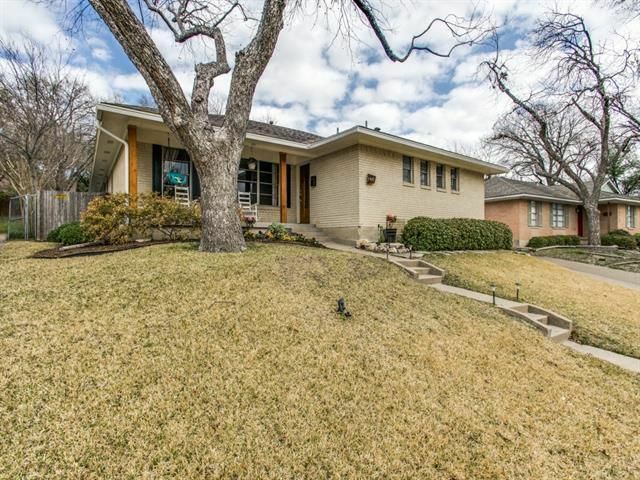 It was listed April 16 by Rockie Marvel with Keller Williams Central for $335,000. Getting Real About Renos: Will Hardwood Floors Really Add Value To My Home? Antique wormy chestnut reclaimed hardwood floors by Olde Wood Ltd.
Today, we’re starting a new occasional column called Getting Real About Renovations. We’re going to look at renovation realities for all sorts of projects, from hardwood floors and open floorplans, to master suite additions and kitchen upgrades. We’ll give you the unadulterated truth about options, costs, effort, Realtor opinion, and estimated ROI for these projects. Americans can’t get enough about home improvements, from reality TV shows to demand for renovations in properties on the market at all price points. In the first ten months of October 2015 alone, Americans spent $326.1 billion on remodeling their homes, according to a recent report from the National Association of Realtors (NAR), the 2015 Remodeling Impact Report. Many homeowners wonder which will bring them the most happiness and get the best return on investment (ROI) should they sell in the future (or if they’re flipping a property!). 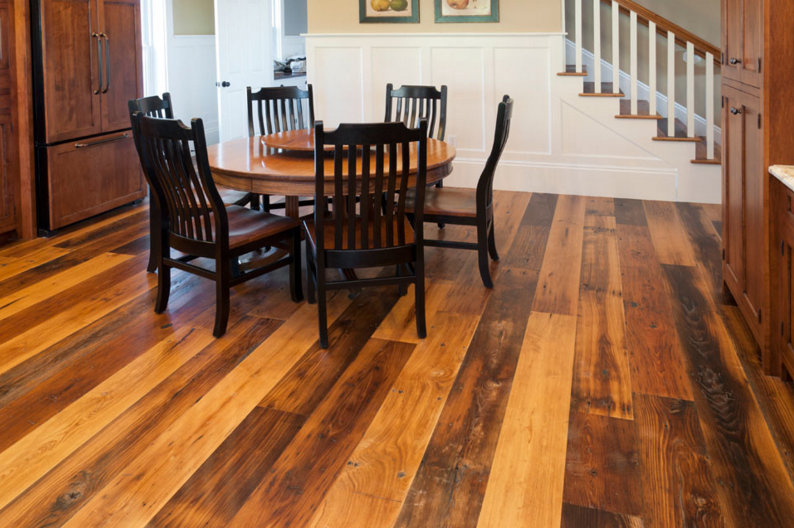 We’re starting this series by looking at hardwood floors in all their forms: engineered, solid wood, and reclaimed wood floors, as well as refinishing existing floors. So are they worth the investment? In a word, absolutely. Our Thursday Three Hundred is a lovely University Terrace cottage, built in 1955 and meticulously maintained and updated. Located at 7320 Lehigh Dr., this home is a 3-2 with 1,464 square feet, situated in the Lakewood Elementary attendance zone, rated a “10” out of 10 by GreatSchools.org. 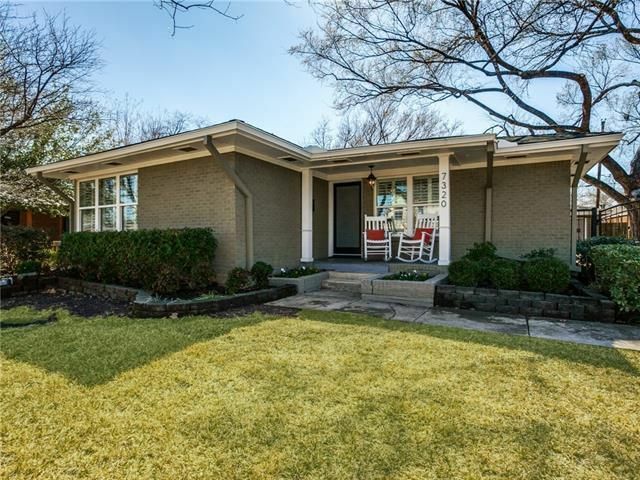 University Terrace is a fabulous East Dallas neighborhood with about 3,550 residents, established in 1954, next to White Rock Lake and about an eight-minute drive from downtown Dallas. 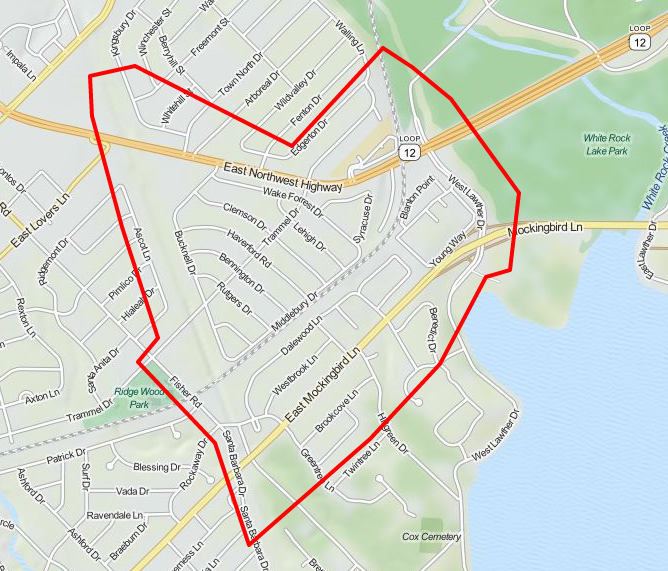 According to the University Terrace Neighborhood Association, the area is surrounded by a collection of old-fashioned neighborhoods, generally developed from the early 20th century to the 1950s. This cottage was listed Feb. 19 by Janis Wells with Briggs Freeman Sotheby’s International for $374,000.